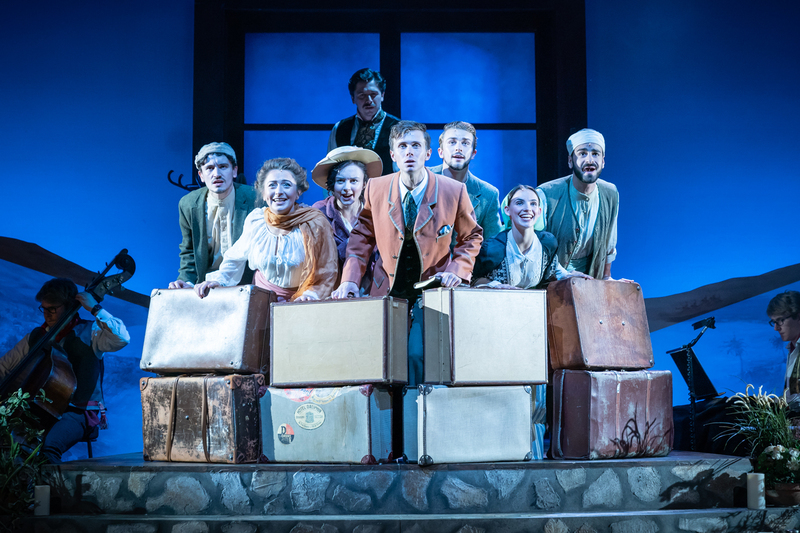 Broken Wings is a brand-new musical which recently premiered in the West End at the Theatre Royal Haymarket. 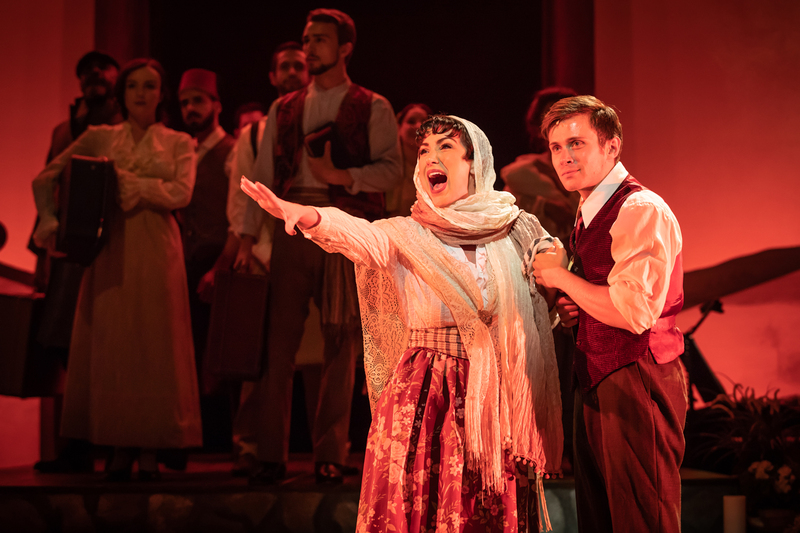 Based on Lebanese-born poet Kahlil Gibran’s autobiographical tale of the same name, the show is written by Nadim Naaman (The Phantom of the Opera) and composer Dana Al Fardan. As a leading supplier to West End productions, White Light was called upon to supply the lighting equipment. Nic adds: “When we were teching the production, it was important to work quickly so we created a number of looks which were refined during the dress rehearsal and first preview. Each location in the show is visually very striking: gardens, shady restaurants, a temple, the docks etc. As a result, we had a lot of fun developing a layered stage picture with the colour palette and texture from gobo washes”. Having known what he wanted to achieve from his design, Nic approached WL to draw on a range of fixtures. He comments: “I had a majority moving light rig overhead, with a number of Chauvet Maverick MK2 Profiles and Maverick MK1 Spots to provide specials and gobo washes. These were supplemented with Martin TW1s grouped together in pairs for back washlight. The sidelight came from Chauvet Ovation E930VWs and Ovation E910FC Profiles. The combination of the variable white and full colour units meant I had flexibility to do both variable colour temperature and saturated washes. He continues: “The cyc was lit from top and bottom with ETC ColorSource units with the cyc lens attachment. These gave me the rich tones I needed to create the Middle Eastern sky, as well as the punch to fight over the stage wash. Completing the rig were a number of ETC Source Fours positioned front of house as well as two Super Korrigan Followspots”. With the show being a limited run, this meant that Nic and his team had a limited period in which to get into the venue. He comments: “The show started going in on Monday morning and opened for first preview on the Wednesday evening. But I was able to design a rig that accommodated for this, with minimal overhead focussing needing to be done and side light at floor level so it could be focused without ladders. Then, when we got into tech, it became about working quickly and in broad brushstrokes that were refined over the dress rehearsal and first preview”. The production marks one of many that WL is currently supplying in the West End, with others including TINA – The Tina Turner Musical, 42ndStreet, Young Frankenstein, Imperium, Pressure, Harry Potter and The Cursed Child, The Importance of Being Earnest, The Jungle, The King and I, The Lieutenant of Inishmore and Aladdin to name but a few. Nic comments: “I want to say a massive thanks to my Production Electrician Adam Mottley and his assistant Matt Harding, my follow spot operators Sam Hawkes and Rose Fraser, and all the team at Theatre Royal Haymarket for getting the show in and up in a very short space of time. Also a huge thank you to Jonathan Haynes and Jim Dewhirst at WL and Tom Wilkes at Chauvet for their continued support”.